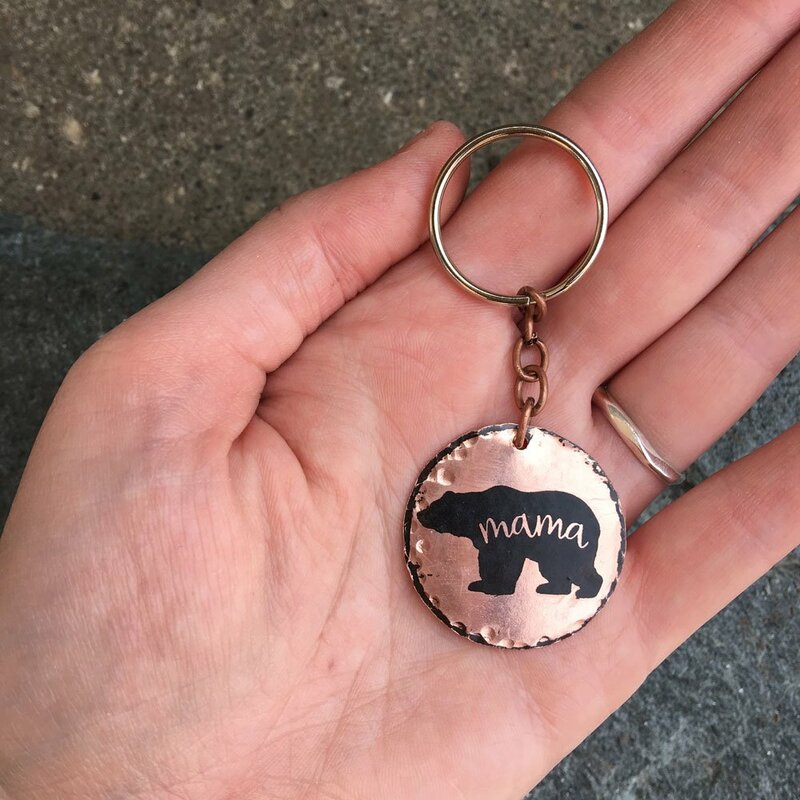 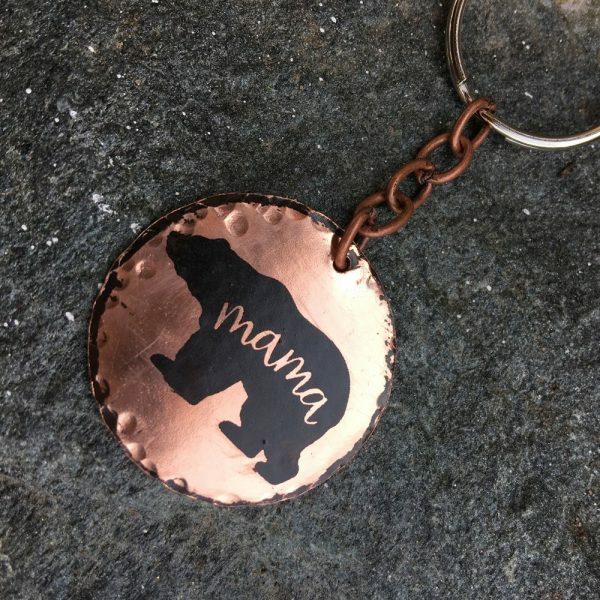 Beautiful handmade copper mama bear key chain. 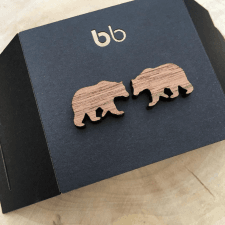 Show some love for mother’s day or treat yourself to one of our unique hand forged mama bears. 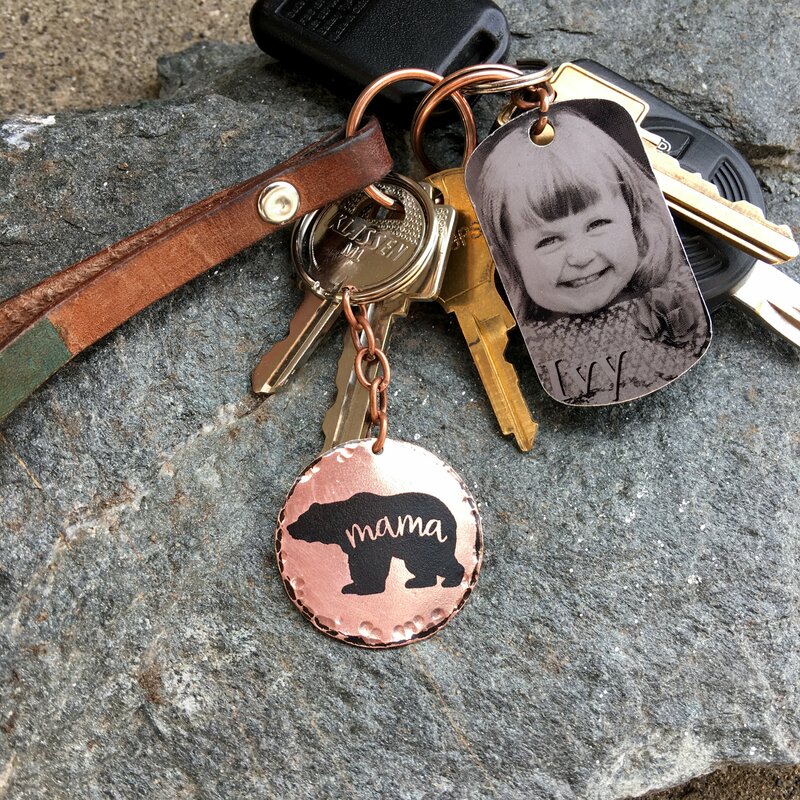 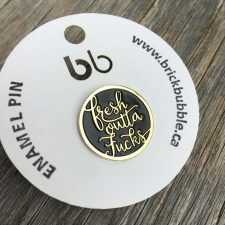 Each one is hand cut, hammered, etched and sealed. 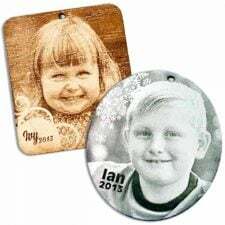 Due to the natural qualities in hand cutting, hammering and polishing each piece will vary, sealed to slow the natural patina that may occur. 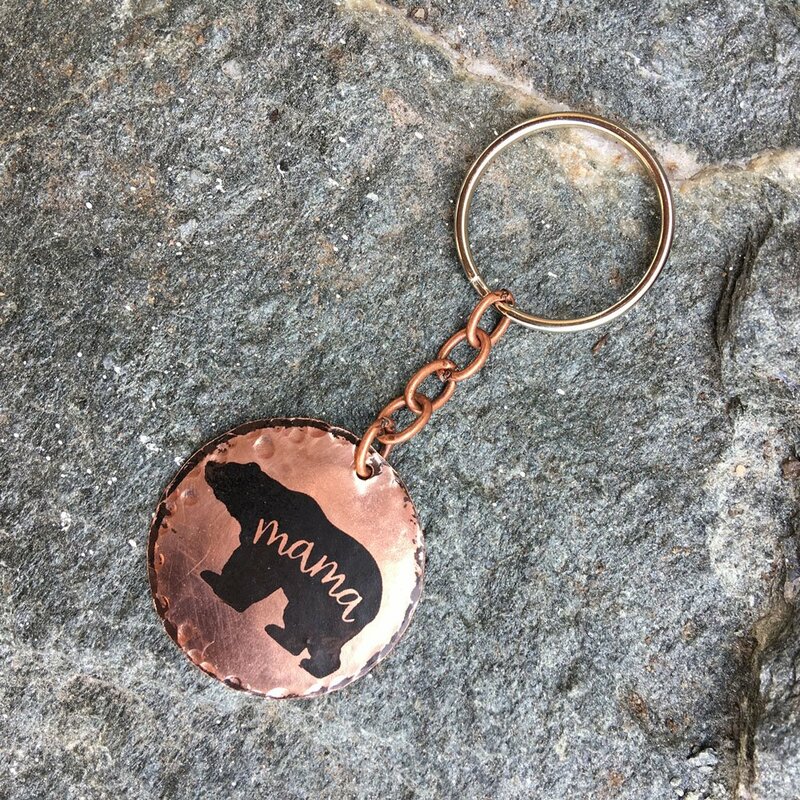 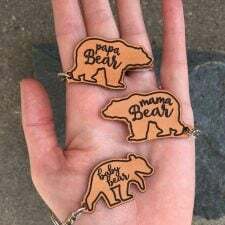 Be the first to review “Mama Bear – copper key chain” Click here to cancel reply.